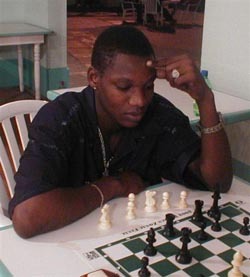 Szmetan is the new Barbados Champion! 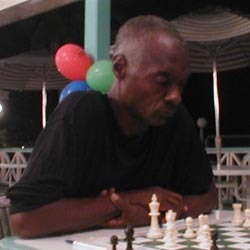 This report was submitted by Allan Herbert, President of Barbados Chess Federation. 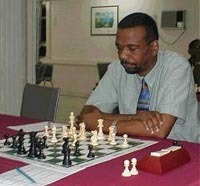 Barbados has a new National Chess Champion and he is FIDE Master Dr. Ricardo Szmetan who drew his final match against Lyndell Halliday to win the 2002 Olympio National Championships. 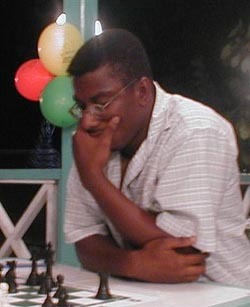 Szmetan, a Lecturer in Latin American Studies at the University of the West Indies, becomes only the 7th person to win the coveted National Champion title in the last 20 years, a trophy which has been monopolised by 2001 Barbados Sports Personality of the Year, International Master Kevin Denny. 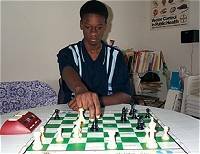 Szmetan's road to the title included a critical win against former National Champion FIDE Master Dr. Philip Corbin in round 3. However he had to wait to the very last round to confirm his victory, as Corbin trailed him through out the rest of the tournament hoping for a slip which was never to materialise. 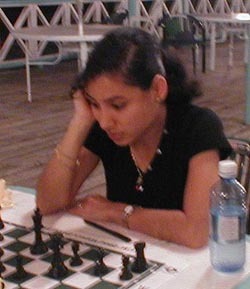 Other key victories against Women's Champion Nathali Greenidge in round 4, National Junior Champion Mark-John Alleyne in round 6 and former champion Dr. Ronald Moseley in round 7 paved the way for unbeaten record and the title. 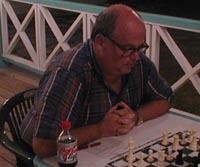 Szmetan ended the tournament with a clear 1½ point lead on 8 ½ points out of possible 11. 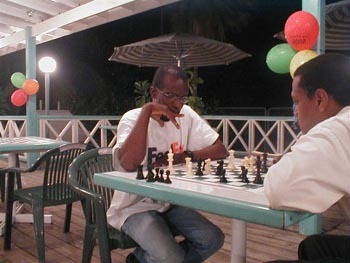 Taking second position was Dr. Corbin on 7½ points while Kevin Greenidge score 6½ to finish 3rd, his personal best in the Nationals. 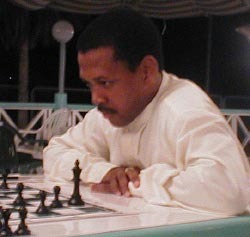 Fourth position went to Lindell Halliday on 6 points and top junior players Askari Elson took 5th with 5½ points. 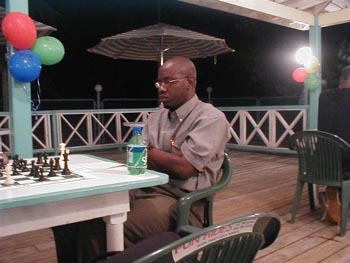 With the Olympio Nationals now completed, the spot light turns to the BCF Selection Committee who will be meeting shortly to name the Barbados Team for the 35th World Chess Olympiad which will be held in Bled, Slovenia, from October 25th to November 11, 2002. 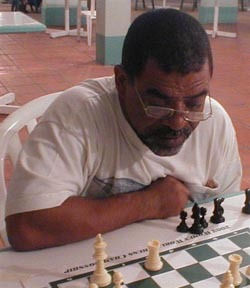 Editor's Note: FM Ricardo Szmetan (pronounced Smay-tan) is originally from Argentina. I remember that he attended graduate school in Romance Languages at a university within the Chicago area (back in the mid-80s). In other news, defending champion IM Kevin Denny opted not to compete in this year's Nationals.